Spring is a parade of delights as each day brings new changes. Each flower takes its turn, some lasting only days while others linger. I walked up in Summit Woods on May 5. 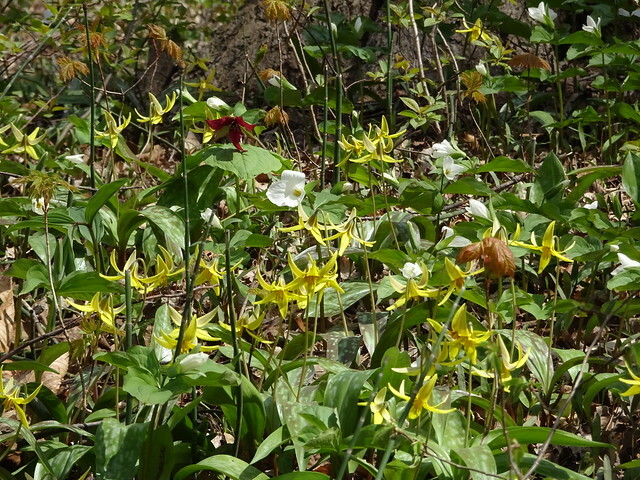 The woods were full of dog-toothed violets (aka trout lily or erythronium americanum). 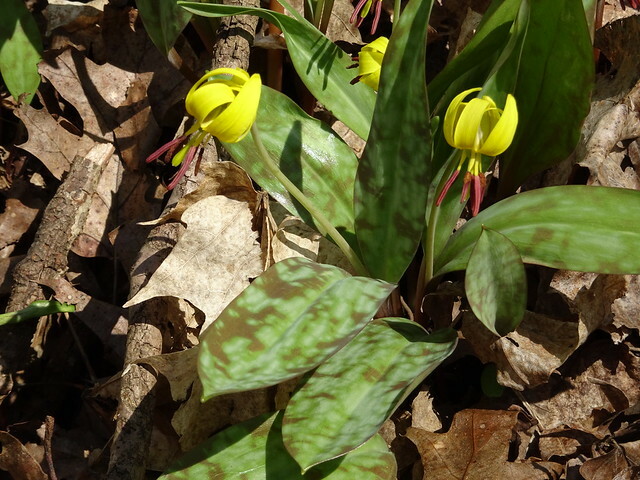 Their splotchy leaves and bright yellow flowers were easy to spot. 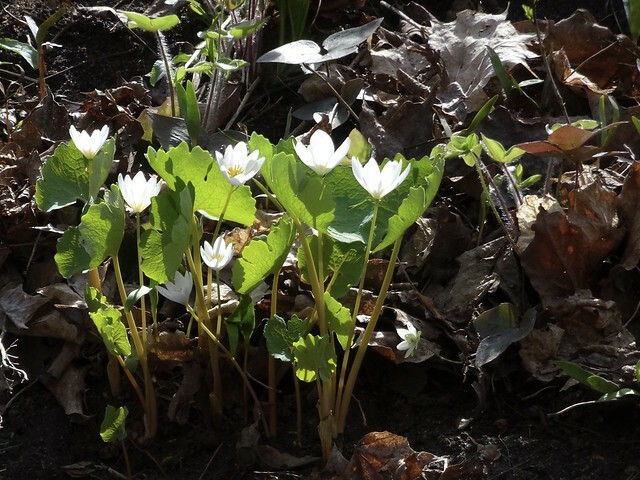 We also spotted some sanguinaria canadensis. The trilliums were still reluctant - some leaves but no sign of flowers. 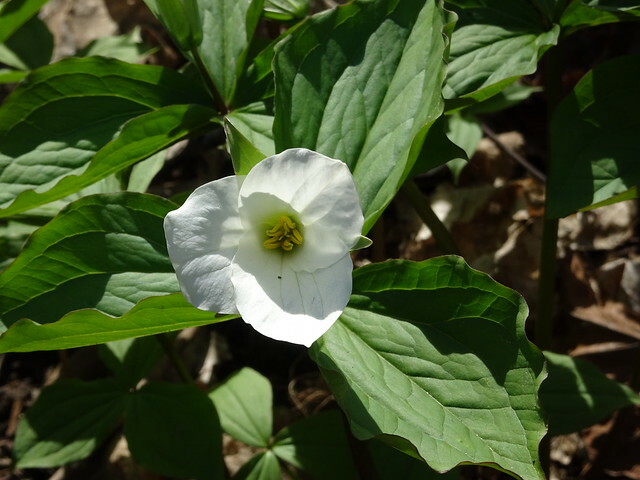 On May 6 a friend and I went to Bois-de-Liesse where the trilliums were starting to open. In most spots, it was still only and occasional flower that revealed itself. 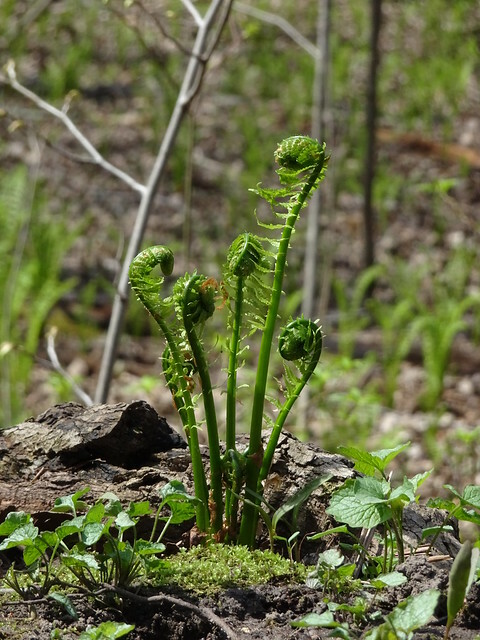 Ferns were starting to unfurl. And Sanguinaria reached for the sunlight. 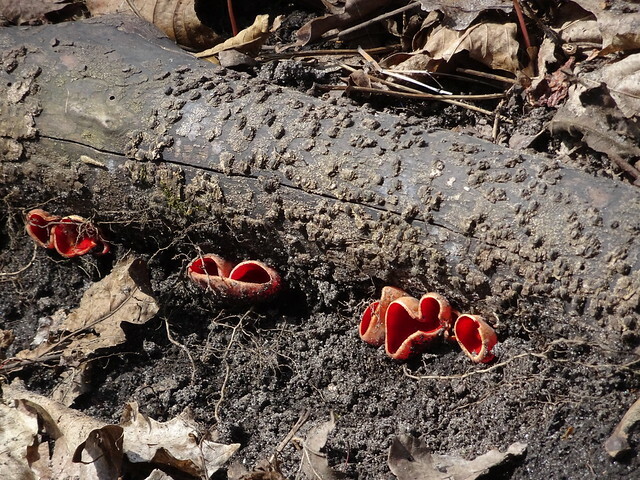 Some interesting fungus was growing near a dead log. Anyone know what it is? 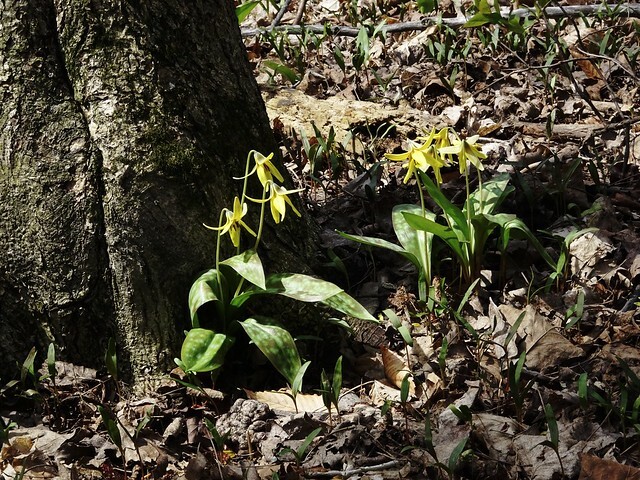 A cluster of dogtoothed violets grew near a tree trunk. 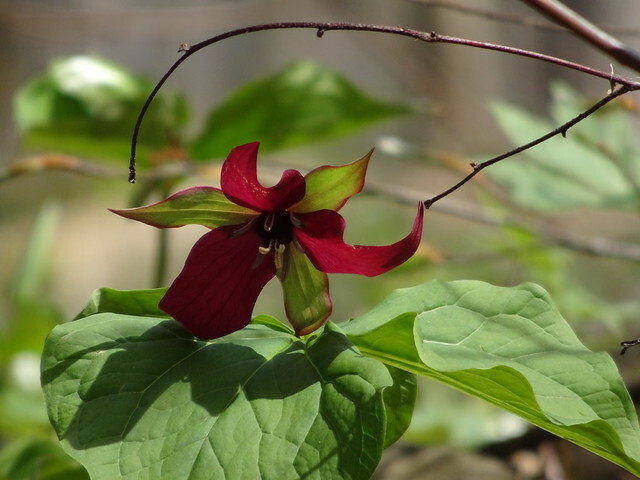 I always search out the red trilliums which open before the white ones. They are far less plentiful than their white cousins and so each one seems precious. 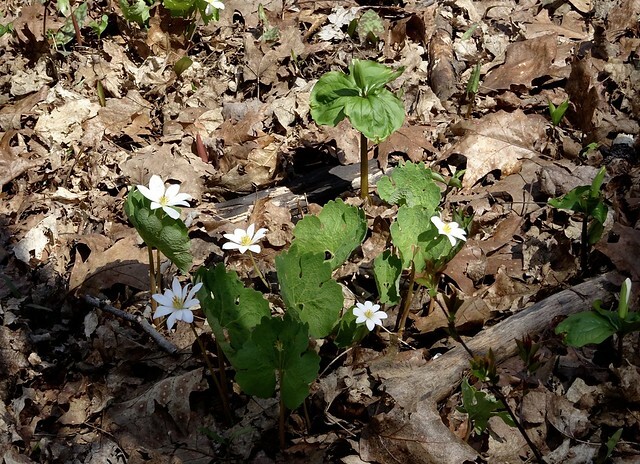 Did you know that trilliums take 7 - 10 years to go from seed to flower? Here is a variety of flowers together. Enjoy as they won't last long.